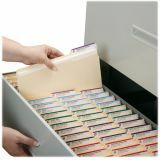 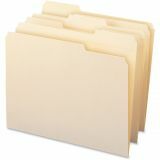 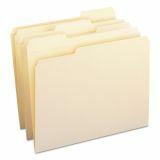 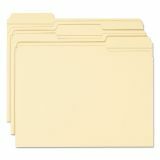 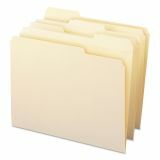 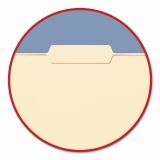 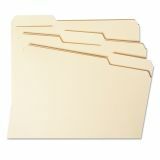 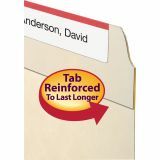 Smead WaterShed File Folders, 1/3 Cut Top Tab, Letter, Manila, 100/Box - Top-tab folders protect important documents. 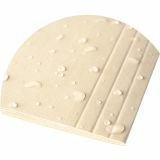 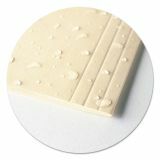 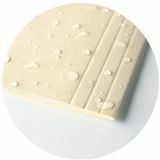 Water-resistant surface is designed to resist spills of liquid, such as water, coffee, soda and more. 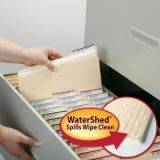 Just wipe off folders with a cloth or paper towel. 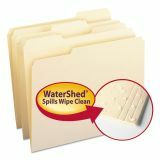 The Watershed surface will accept notes using ballpoint, rollerball pens or pencils. 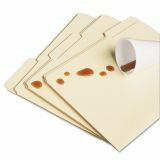 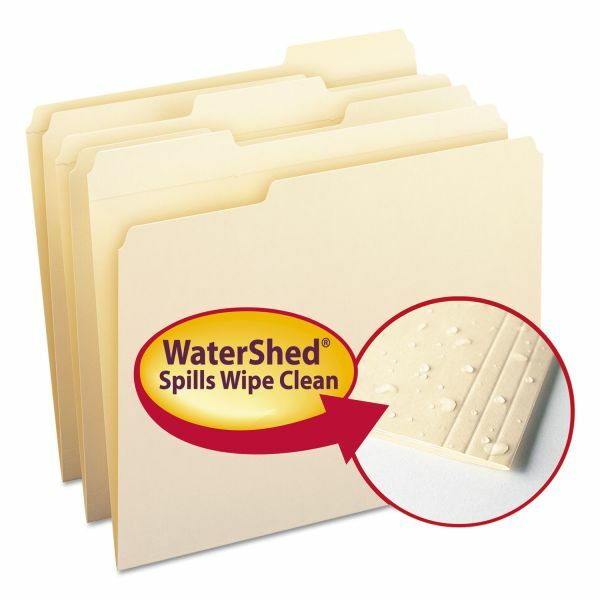 Two-ply folders are also dirt-resistant and finger oil-resistant and made of 11 point stock. 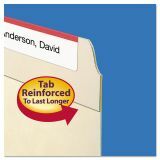 1/3-cut tabs come in assorted positions for quick access to your files.